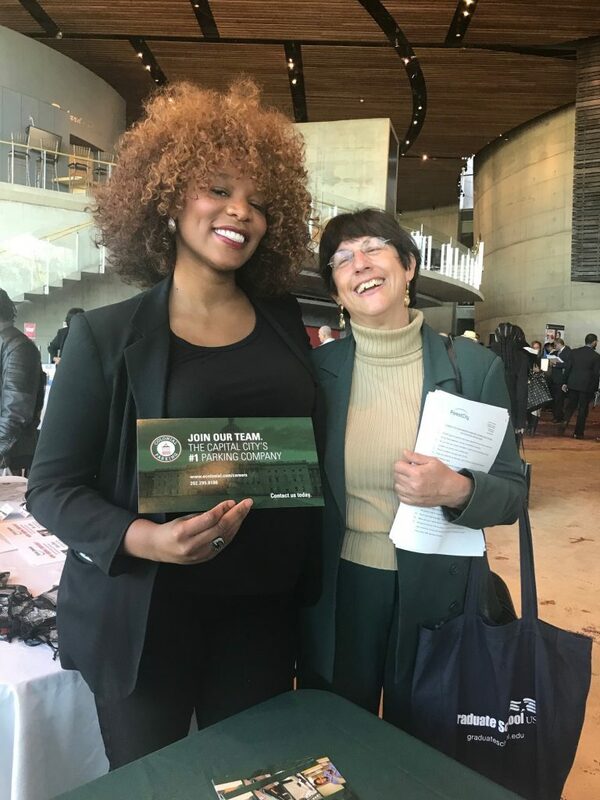 Last week, Colonial Parking’s Talent Acquisition Specialist, Nyiesha Carrington (left), met up with Calvary Women’s Workforce Development Specialist, Dena Bauman (right), at the 11th Semi-Annual Career Fair. The fair is a combined effort of local Council-members, business and government agencies to match DC residents with employment opportunities. We had a great time there and area already receiving applications from Calvary Women’s Services applicants. We look forward to seeing what comes from how our continued relationship!